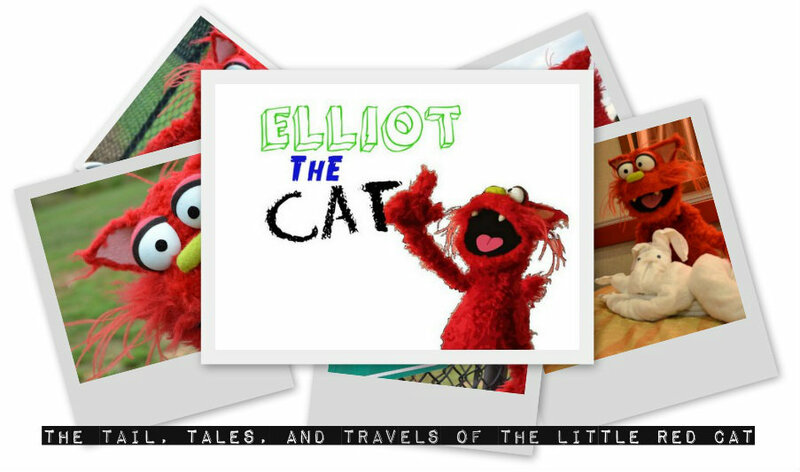 On the Road Again.. | Elliot The Cat! Category Archives: On the Road Again..
Little Elliot in the Big Easy! If you haven’t watched my video post, then you missed all the cool sites and sounds from my trip to New Orleans, Louisiana! New Orleans is a great city, full of music and food and fun people…I had a blast. This city never sleeps…but I do, and I got to sleep in a cool hotel every night right next to the Superdome (that’s where the football teams play). I also got to wake up every morning to delicious Beignets…they are like donuts and they are sooooo good! The music in New Orleans is wonderful, there are so many talented musicians from the great Louis Armstrong, Sidney Bechet, even the people we saw playing their instruments on the street! Okay, I’m getting long winded, just enjoy my pictures and stay tuned. Trolleys are everywhere in New Orleans…what a great way to get around. Po’boys!!! So tasty…my mouth is watering. Great music is always around in New Orleans! …now you’re in my shot! Jazz is one of my favorite kinds of music. I don’t know what all the fuss is with Bourbon Street…what happens there?! This entry was posted in On the Road Again.. on June 15, 2013 by thatelliotthecat. I went on a great trip! BUUUT I want you to guess where you think I went before I show you my pictures and tell you all about it…enjoy! This entry was posted in On the Road Again.. and tagged Elliot The Cat, travel on June 13, 2013 by thatelliotthecat. This entry was posted in On the Road Again.. on March 14, 2013 by thatelliotthecat. I am in Tybee Island, Georgia for a special treat. Today I got to visit an actual lighthouse! It was built in 1773…so it’s older than the USA….and me. Lighthouses are really cool because they help boats tell when they’re getting close to land…they’re also reaaallly tall. I had to go up a lot of stairs, and it was pretty scary, but once I got to the top it was soooo cool. You HAVE to check out all of my cool pictures. The lighthouse is a great, I felt right at home. Who are you calling a pet? I also met some great friends who lived in the lighthouse! I survived my trip to the top. The nice ladies gave me a sticker too! This entry was posted in On the Road Again.. and tagged Elliot The Cat, Lighthouse, photography, travel, Tybee Island on March 7, 2013 by thatelliotthecat. My Video Post Card from Savannah! This entry was posted in On the Road Again.. and tagged Elliot The Cat, Georgia Railroad Museum, Icecream, Leopold's, Savannah, travel on March 6, 2013 by thatelliotthecat. I am in Savannah, Georgia for this trip. Savannah is a great town, it’s old…wait no, it’s classic. It has a lot of great historic buildings and fountains and ghost stories. I didn’t stick around for any spooky tales, but I did stick around to see some great trains at the Georgia State Railroad Museum. I also got to stay up past my bedtime and visit Leopold’s for some late night ice cream. A lot of movie makers worked together to make Leopold’s great…it’s a pretty famous ice cream place…maybe I’ll get to make a movie there one day. Anyway, enjoy my pictures…they were a lot of fun to take! The GSR Museum also has a big turntable in the middle. It helps all the trains turn around. Nothing makes staying up late better than some icecream! This entry was posted in On the Road Again.. and tagged Elliot The Cat, Savannah, Trains on March 2, 2013 by thatelliotthecat.